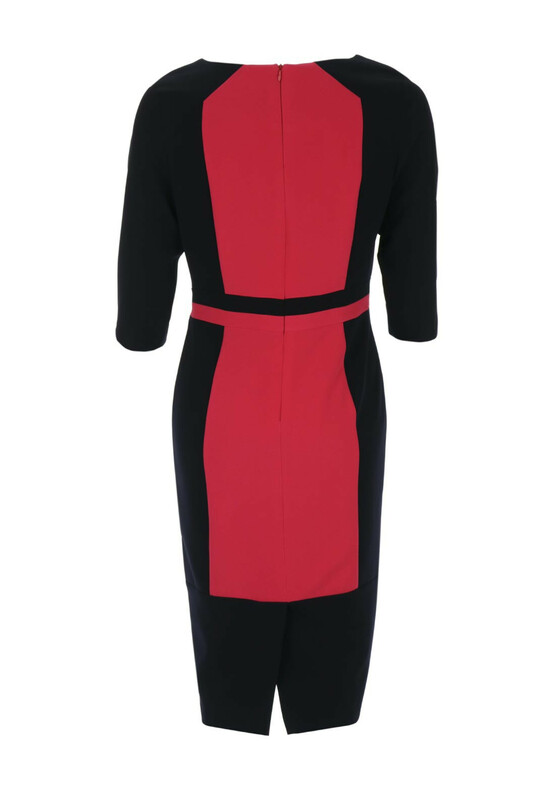 Lizabella presents this smart and stylish dress which is sure to become a popular choice in your wardrobe. Wear with black heels for an evening function or important party. 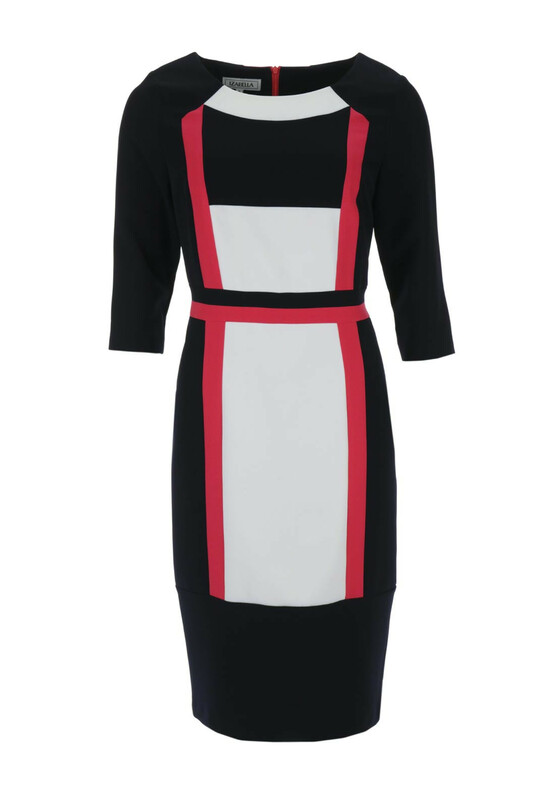 Made from fully lined lightly woven fabric with a red and cream toned colour block pattern throughout. Designed with a cropped sleeve pencil shape which will create a feminine silhouette.